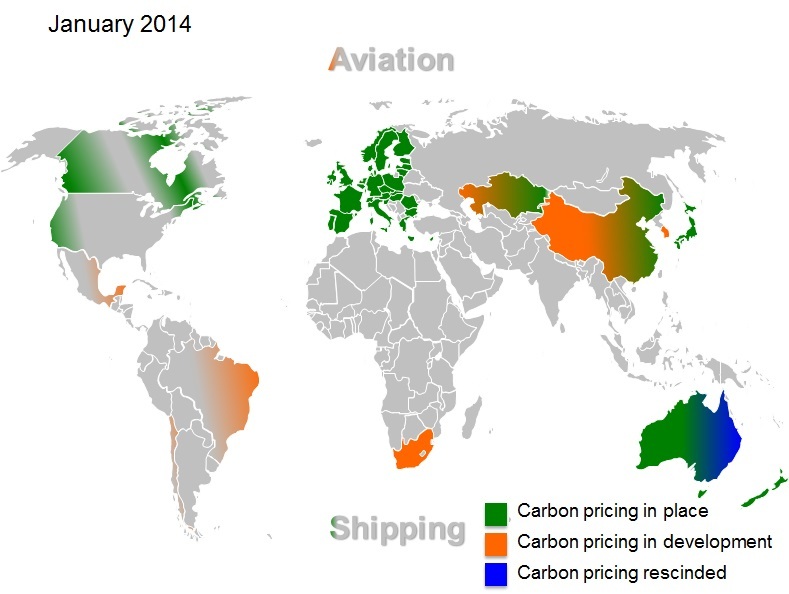 While there was a great deal of focus throughout 2014 on the road to Paris and the UNFCCC process that is taking us all there, the real developments of the year were around carbon pricing. But it wasn’t all smooth sailing. In short, the eventual temperature rise is directly linked to the size of the global fossil fuel resource base (in GtC) multiplied by some extraction fraction which in turn is a function (f) of the difference between the price of energy and the extraction cost. In a world of sunk infrastructure costs, the marginal extraction cost might be very low, which either means that the energy price has to fall very low to limit temperature rise or another factor has to be introduced to shift the extraction economics, i.e. 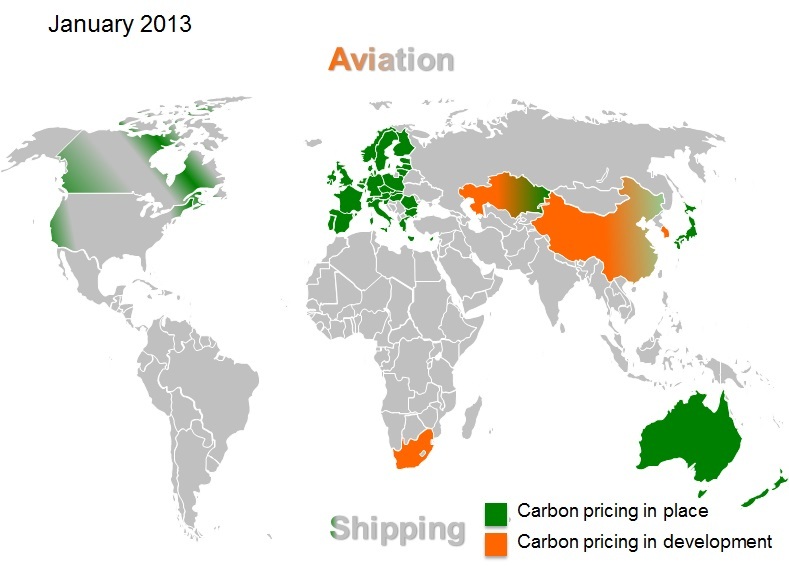 a cost for emitting carbon dioxide from energy use, or what is now simply called “a carbon price”. 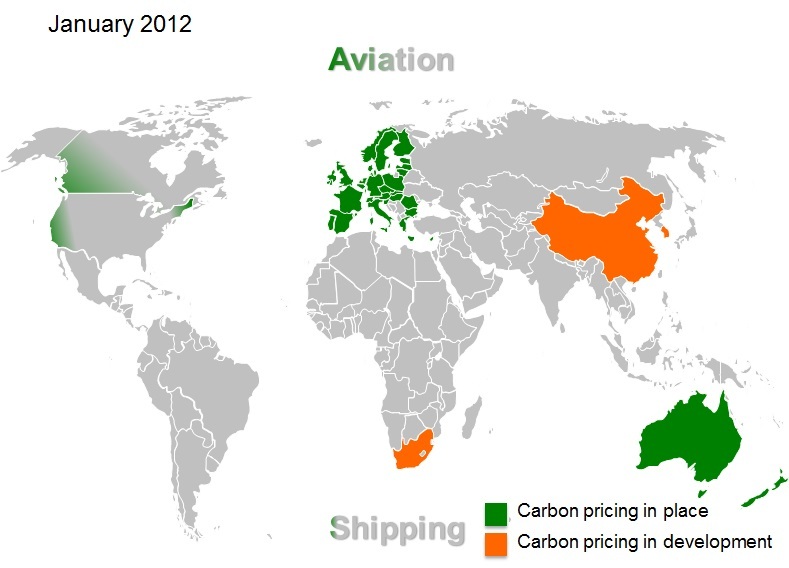 Not surprisingly then, putting a price on carbon is arguably the most important step that can be taken to limit warming. Trying to drive the price of energy down with alternatives is another option, but success is less than assured. 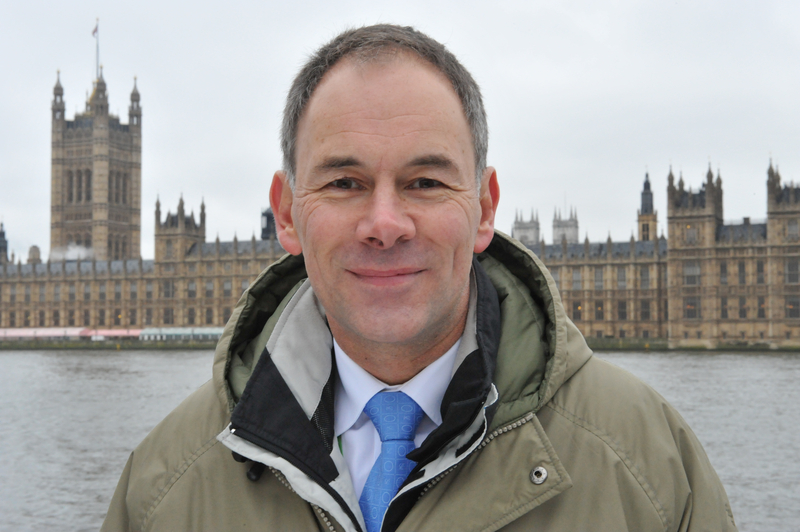 While the carbon pricing story has long been recognised, it is nevertheless proving difficult to implement. In the UNFCCC process it has been getting almost no airtime at all, at least until 2014. This was the year that the World Bank picked up the story in big way and by the time of the September UN Climate Summit in New York managed to have it solidly on the agenda. This was supported by their Statement on Carbon Pricing, signed by some 70+ governments and 1000+ companies. The World Bank effort picked up where the UK Corporate Leaders Group on Climate Change had taken the issue two years earlier with its Carbon price Communique. Nevertheless, while the fact that a good portion of the UN Climate Summit and its multitude of side events was about carbon pricing and therefore deserves applause, the difficulty of translating well-meaning macro level support into granular policy implementation remains both very challenging and time consuming. 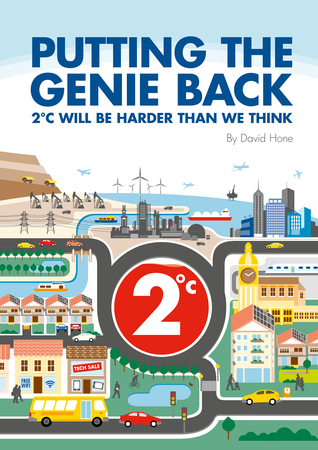 The unfortunate event of the year was the repeal of an active carbon pricing framework by the Australian government, particularly after the decade of effort and political capital that had gone into establishing it. Although Australia isn’t large in terms of global emissions, as a leading resource producer and developed economy it tends to punch above its weight in terms of external influence. Fortunately this event was eclipsed by a much bigger development that came a bit later in the year and may well be the one that sets the scene for real action on emissions in the 2020s. China announced that a single national carbon pricing system would be implemented from 2016, presumably replacing the multiple trials now underway. This system would mature over the following years such that it will be fully operational from 2020, which is when the expected Paris agreement will also become operational. Mexico also established a modest carbon price in its economy and the Chilean government approved a pricing system from 2018 within the power generation sector. Korea proceeded with its plans for an emissions trading system, agreeing to a formal start this January. Discussions hotted up in North America, with Oregon and Washington considering pricing and Ontario in Canada also starting to think about possible options. The Quebec-California link, formalised in 2013, went into operation. Another noteworthy event of the year was the shift in stance by the European Institutions and Member States on the role that government needs to play once carbon pricing markets and mechanisms are established. As the price in the EU ETS has fallen over recent years, many have argued that the market should be left to correct over time. But with a structural surplus showing no sign of disappearing, that view is changing. With the support of the Commission the EU Parliament approved the backloading of allowance auctioning to later in the current ETS Phase (i.e. from 2014 to 2018-2020) and is now in the process of developing and gaining approval for a permanent mechanism, the Market Stability reserve, to do a similar job. Timing is of the essence and the EU Institutions and Member States need to implement such reforms as soon as possible, and no later than 2017, to incentivise real investment in lower carbon technologies over the next decade. Bringing all this together and catalysing the development of a global carbon market remains on the the “to-do” list, with the UNFCCC in a prime position to take the lead as part of the Paris process – but more on that another day. Slowly but surely the map is changing colour, although much remains to be done. Carbon pricing remains contentious, both in its implementation and ongoing management. David, when you address the Citizens Climate Lobby members monthly conference call tomorrow, would you please take a few moments to expand on 1) the statement in your blog (below) which sets a 2017 deadline for action, 2) what you envision those actions might include, and 3) what types of lower carbon technologies you have in mind? So far, you are the only person I know of who has made such a definitive statement, and I applaud you for that. With a few examples, I think people will rally around this “line in the sand.” Bravo!